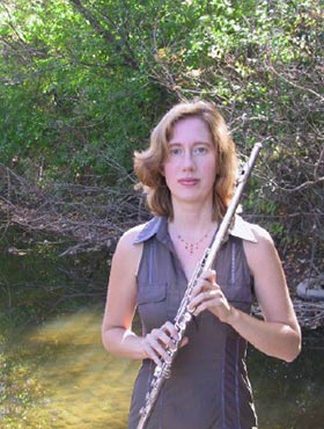 Kassia Martin is a classical flute and piccolo performer in southeast Michigan. She holds positions in the Southwest Michigan Orchestra, Midland Symphony Orchestra, andDearborn Symphony Orchestra and performs regularly with groups including the Kalamazoo Symphony Orchestra, Toledo Symphony Orchestra, Warren Symphony Orchestra, andSouthern Great Lakes Symphony. She also performs regularly as a soloist, and with her husband, clarinetist Sam Martin, as the Martin Wind Duo. adults. Ms. Martin organizes and conducts two flute choirs in Clawson, one of which performs regularly throughout the community. She is also a member of the Board of Directors of the Southeast Michigan Flute Association, which keeps her deeply involved in the Michigan flute community. Previously, she has been a member of the Monterrey Symphony Orchestra in Monterrey, Mexico, theGreeley Philharmonic Orchestra in Colorado, the Greenville Symphony Orchestra in South Carolina, and the Augusta Symphony Orchestra in Georgia. She holds a Bachelor of Music from Wayne State University in Detroit where she was a student of Ervin Monroe, and she has also studied with Jeffery Zook, Clement Barone, and Charles Delaney and has attended the summer music schools of Trevor Wye and William Bennett.